Empowering mums with the confidence they need to move forward. Mumability is the private practice of mental health clinician and perinatal counsellor Ginny Hartley. She combines clinical counselling with practical coping strategies to help new mums with in order to help new mums deal the struggles of motherhood. Having just set up her private practice, Ginny required a customer-facing presence for her new business. This included a business name, logo, web content and a website. It was important to Ginny that the website distinguish itself from the standard blue of many other healthcare providers websites with warm colours that would appeal to women. The first stage of the project centered around developing a name and an identity for the new practice. After a long brainstorming session, the name Mumability ('mum' + 'ability') was chosen. 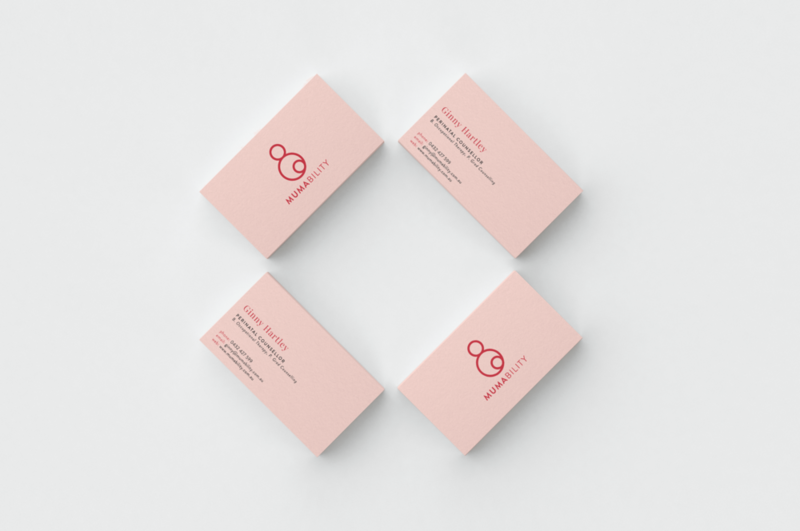 A beautiful and simple logo and brand representing a mother and her child was developed and complementary fonts and colours (using the unusual but feminine pairing of red and pink) were chosen. Search engine optimised content that simply and concisely outlined what the practice offered and Ginny's experience was developed before starting work on the website. 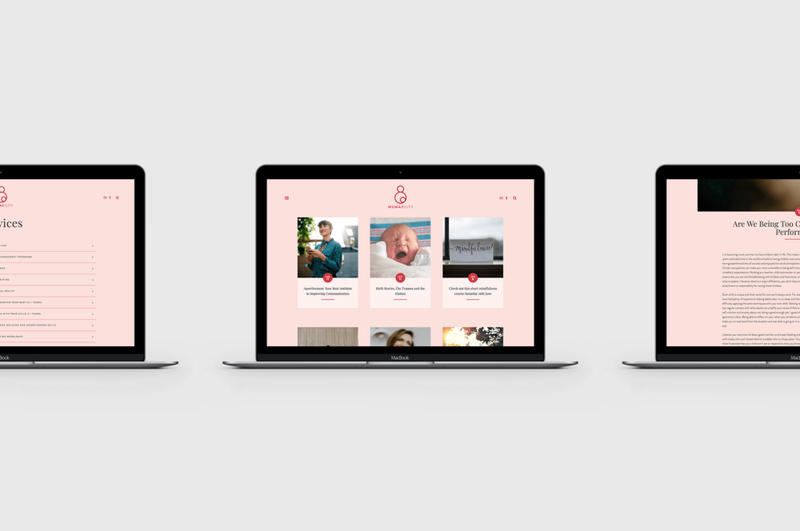 A minimalistic design approach was taken on the website, which featured carefully chosen images and beautiful typography using a distinctive pink background and red accents. The website features a unique slide-out menu, a simple homepage directing users to the key sections of the website, clear signposting of the various services that Ginny offers, a powerful and beautiful blog that is linked to the Mumability Facebook account and a secure form that allows patients to submit their details before their first appointment. Each page of the site works hard to encourage visitors to get in touch with a prominent banner in the footer offering a free consultation. Like what I did for Mumability? Then get in touch to see what I can create for you.